Many of my clients are single, soulful people who long to be in a love relationship. Our sessions center on the perception of what it means to be single and what makes a committed relationship seem so appealing. We talk about wanting to find love while learning to handle the angst of putting yourself out there; how to tackle the challenge of dating profiles, addressing the vulnerability of it all along with the wish to just be yourself, to let it all hang out. Eventually, I am able to speak to the biggest challenge of all: the ego self that’s often involved in the process. 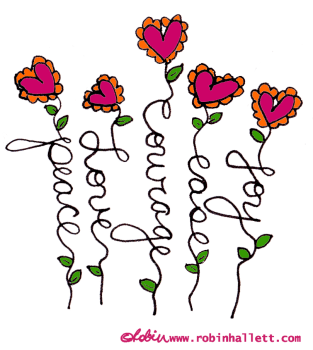 For many, it is completely running the show: tallying those wins and losses, coming up with little rituals to ward off evil, trying to keep us safe, and spinning stories about who we are in the game of love. It is my greatest longing to help us all wake up and see a bigger picture, to raise our energy higher than that of the ego mind because we are all divine beings. We are spirit more than ego. Learn to ask your higher self, not your ego. Often when I ask people: what are you looking for in a partner? 91.42% of the time, they give me their list of fears and objections. Gripes and fears are the language of your ego. While objections can certainly help you define your list of what you would like in a possible mate, it is NOT a complete statement about what you are wanting. These are the fears and objections that when held too tightly will narrow down your vibration and ensure you continue to attract exactly that kind of person which you say you do not want. Why? Because like attracts like. When you bathe yourself in the energy of what you don’t want, you cannot help but become a similar vibration to it. He shouldn’t be intimidated by my success. I’ve worked long and hard to get where I am and I am not going to be with someone who is jealous or insecure! She can’t be asleep spiritually speaking. If she doesn’t work out, forget it. And young! I want her to be young because it always seems like spiritual people aren’t young. Don’t let him be too hairy! But I also don’t want anyone bald. Oh and absolutely, he can’t be shorter than me. It’s so hard to find someone my own age and when I do, they usually want someone younger than me. I’d really like it if he wouldn’t object to my woo-woo spirit side. I always get the ones who are too set in their beliefs. They just don’t get me. She can’t be a mess financially. I don’t want clean up her debt once we’re married. Yes, your objections and fears seem real. But only according to your ego and you are NOT your ego. By allowing these false truths to run the show, you call that energy back to yourself again and again and continue to limit your belief of what’s possible for your life. I will talk more about this in a minute. Over the years I’ve listened to my clients talk about their issues with dating and finding lasting love. These are real issues which make a lot of sense but when they’re allowed to be the bigger focus in your life, they give us tunnel vision. Have you experienced any of the following challenges in your own life? Wanting to ward off future dating evils. You’ve been hurt in the past, not to mention the whackadoos. The bad experiences and the list of what you don’t want in a partner often come to mind. You’re leery of putting yourself out there for any more dates with a similar outcome but you still would like to meet someone. It seems like a good idea to stay vigilant about what you don’t want so you can ward off of any future dating evils. You find it hard to meet people at your level. You work hard and are accomplished. The people you meet are intimidated by your success. They seem to feel inferior, insecure, and envious; sometimes they’re overly impressed by it all. You wonder if you’ll ever meet someone who can handle it and just appreciate you for you. You sometimes wonder if it would be easier to lie about who you are than have to go through this. You’re this cool and quirky person and people just don’t get you. You used to be the kind of person who hid the real you away, but no more! You’ve learned to love and appreciate how cool, quirky, creative and all around awesome you are. And while you feel good about your unique sparkle, you find it’s hard to meet people who understand you. Sometimes it seems easier to stay alone than to risk putting yourself out there. You wonder about it all a lot. You’ve not been in a relationship for a while and the lack of connection has gone on long enough that you wonder if you’re just meant to be alone. You know you’re a good person but there are times when you get stuck on whether or not there is something wrong with you. Some days you catch your head in a tennis match: single vs. relationship; normal vs. not normal; ok vs. not ok. You defend your reasons for the single status. Still, you wonder if you’re being judged by others for it. You’re grateful for the attention and you don’t always see it’s a wrong fit for you. We feel just so freaking excited that someone picked us! They liked us! They clicked YES to us! The delight of being chosen overrides our intuition and authentic desire. We fall easily in love with being liked, adored, or loved regardless of whether it’s a right fit. Forcing the issue. You are sick of dating and feel READY to get on with a relationship. When you have more than one date with someone, you’re so happy and relieved that you tend to miss certain signals that all isn’t quite as it seems. You usually figure this out once you’ve invested a lot of energy, time and money in this relationship. You wish you would learn to see the signs sooner. Limbo Land. You seem to find the ones who are unavailable. Either they’re geographically unavailable or they’re married or just getting out of a relationship and aren’t ready. You’ve been in Limbo Land relationships and it’s such a frustrating experience—there’s this energy present where you feel you aren’t being chosen. You wonder why you can’t just meet someone who is actually free and available. These are all fear based issues. Fear stands for: False Evidence Appearing Real. When you believe in these kinds of realities and argue for their truth, you allow your behavior to be dictated by fear. The more you allow yourself to settle for these stories and identify with their false truths, the harder it becomes to wake up. I am about to use the V word! When you invest your time and energy in seeing the reality of these ego stories, you cast yourself as the victim. Your energy then contorts itself in order to stay aligned with these false truths. I get that these things seem so real to you – you’ve had bad experiences with dating and you’ve had a lot of loneliness; you’ve spent your time wondering about these experiences and you’ve got some stories about What It All Means. But the thing is, if you continue to invest your time and energy in these stories, you will remain a victim. A hostage. It’s up to you. When you see (with a kind and loving heart) what you’ve been creating and you gently become curious as to WHY you’ve kept this reality in place, things will shift for you in ways you might not be able to imagine. Shift the way you see love. If you continue to whittle down the possibilities of how love is allowed to exist for you, you will suffer. What if you could see yourself as one who is learning to love with the training wheels on? 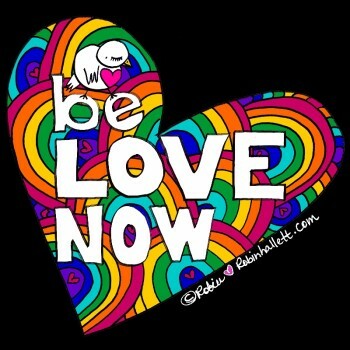 Be love now. Be the thing you say you want. Feel it, radiate it and expand it into your experience. Give it away to others. Welcome the love. Make it a practice that when you catch your mind going to a place of fear, you will tune to the love channel. Welcome it in. Don’t wait for some kind of perfect timing when you feel you’ve got yourself more together. There is never a better time than right now to jump into the pool of love. It’s swirling all around you just waiting for you to dive in. You can call in the kind of partner you would love. Make that list from a new heart space. Take the time to get yourself centered. Allow this to be a sacred experience, don’t write it in your head while you’re out running errands. Set a special time and place for this. If you find yourself running into your fear or only negative attributes come to you, just breathe and center yourself again. If we are to understand what our highest self would LOVE, it helps to have an awareness of what we’ve been creating unconsciously. Remember the original list of objections and issues? You can use it to describe what you WOULD like. Simply apply the turn-around to each statement. If you don’t want someone who is unable to appreciate your unique sparkle, it means you DO want someone who loves, respects, and admires you. I feel confident that love IS coming for you and I dare you to be excited about it too. This is a lovely mystery, after all. You might not know when, where, or how but you do know it is coming. Feel great while you wait! Book a private reading or healing session with me here.